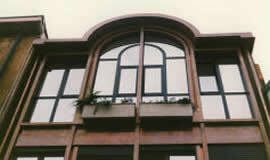 GM Morando Windows and doors in aluminium, roofing, structures . 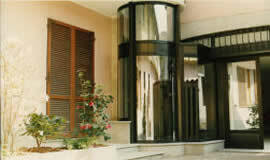 Classic indoor and outdoor products from the window and door sector: aluminium frames, doors and windows. All made with quality and attention to detail ensured by GM Morando. Frames, doors, windows, mosquito screens and shutters ..
We provide any solution for both private homes and commercial spaces. We supply and install our products in Lombardy (especially in the provinces of Milan, Monza and Brianza and Como and Lecco) and in other provinces and regions with the help of our national collaborators. Roofing in glass, opaque, opening. Structures…. 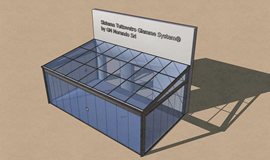 In addition to the laterally closing Giemme system, GM Morando also designs and builds structures for closing off balconies and terraces. We also specialize in the design and construction of structures for verandas or for businesses such as restaurants, pubs or bars. 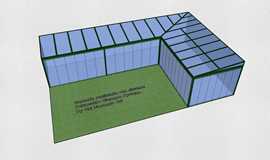 We suggest structures that are consistent with our “all-glass” philosophy. We use the most minimum of fixtures to not take up much space therefore allowing you to showcase the glass properly. 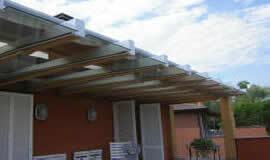 We also make glass roofs which can be designed to open up. 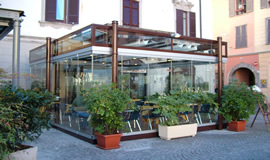 If you have different needs, we can even make structures which are opaque and even insulated. The perimeter columns and the supporting structure can be made of iron or wood, depending on your needs. All our products are custom-made. We provide certification of compliance to the regulations.